Oscar Louis Bruno is native of New York City. He was born into a loving family from the Dominican Republic, is a resident of the Bronx, and deeply connected to his uptown roots. Growing up, Oscar was exposed to various real estate transactions in both commercial and residential sales. Fluent in English and Spanish, Oscar became the point person in his families transactions by assisting his parents navigate their purchase of several residential investments. Through these personal experiences, Oscar decided to expand his education while at the University of Connecticut, and enrolled in one of the top 10 real estate programs in the U.S. at The Center for Real Estate and Urban Economic Studies; completing a minor in Real Estate alongside a Bachelors of Arts in Political Science. After graduating, Oscar interviewed at various brokerage firms where he was then offered an internship with a powerhouse team at Compass. While interning for The Kanarfogel team, Oscar gained knowledge and hands-on experience working with first-class analytical tools to spot trends and solve problems. Shortly after, Oscar became a licensed real estate salesperson and joined The Kanarfogel team as a junior agent under the guidance of Team Lead, Moshe Kanarfogel. 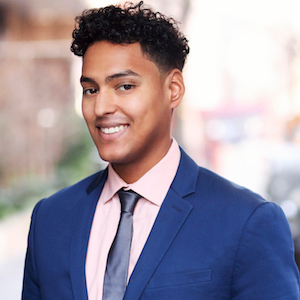 Before his beginning his newly minted career as a real estate agent however, Oscar was found bussing tables, answering phones and serving customers at the family restaurant in the Bronx. The lessons and skills learned from watching his parents hustle and build a business set the bar high, instilling in him the value of hard work while revealing the dedication and effort it takes in order to be successful in life. Oscar's goal is to set the example that for what he wishes to see in his community: personal empowerment through financial literacy, stability and security. In his spare time, Oscar loves to read a wide range of books from personal development, financial information, political philosophy, and spiritual traditions from different eras. He can also be found working out or exploring the robust restaurant scene of NYC.